Observed annually in June, National Safety Month focuses on reducing workplace injury and fatalities. Running routine safety inspections to your warehouse can identify safety concerns to help avoid a rack collapse, damage to property or inventory and employee injury. 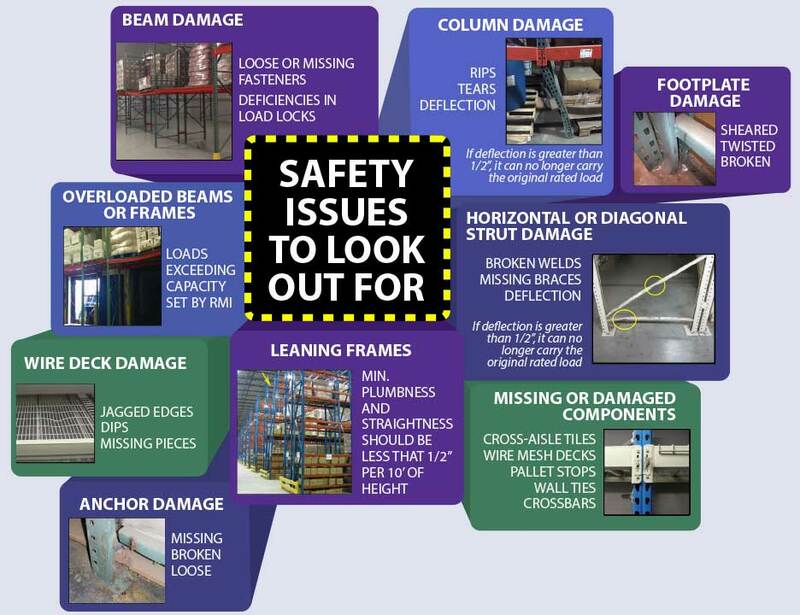 Make sure to continually assess your warehouse to identify any safety issues. If you think your racking is at risk of damage that compromises the integrity of the system, it is imperative to schedule an inspection as soon as possible. An inspection will locate all potential risks and include suggestions for repair and future protection. To schedule a rack inspection today, fill out the contact form or call Joe Malerba, REB’s Director of Remediation Services at (773)366-8002.